This will be the link for the latest buttons file for SAS users. You will need it to use new planes sometimes. to install it, unzip and use the appropriate buttons file for your version of the game to replace your old buttons file with it. ...we realy cannot list all the places where specific activator buttons may be, so , please, it is pretty simple, figure it out. Users who experience engine sound-loss, we recommend you visit our Sounds Forums for solutions. NB: In the past, this collection of buttons are lovingly compiled and maintained by SAS~CirX for the SAS. Massive thanks for his hard work. If you are a modder and you would like to have your new plane's FMs put into these buttons, just PM or email SAS~Anto, who will do an update ASAP. Q: What is the difference between SAS Online and Offline Buttons? And then also, the following fmds have open-cockpit function enabled in OFFLINE buttons. So if you use these planes online with offline buttons, other will see a smoke trail behind your plane. Note: Unless you have the proper mod to animate the canopies, you will only receive an "open cockpit" or "closed cockpit" message inflight, without the cockpit actually moving. We recommend in such a case to keep it closed! ...these all have opening canopies enabled in the OFFLINE buttons version. I will amend this list if it changes. ~ Explosion bugs fixed for Fw-190, Sm-79, P-47 and Ki-61. ~ Note: buttons offline 9.6 was not released, it was included in DBW 1.7, and contained only the first two changes above. hotfix for corrupted Ta152C engine entry (resulting in exploding plane) in Offline buttons. Updated Merlin & Allison P40s F,L,N from Karaya. therefore airbrake size has been reduced upto 20%. Still affective and more so than the Sabre. Provisionaly stopped updates to 4.09 version buttons. Carburetor 4 entries removed from rolls-royce-merlin.emd This is because the new Carburettor 4 setting in 4.10 is not available in 4.09. 4.09 users should notice no difference from what usualy happens in 4.09 with these planes. Added offline opening canopy option for all Fw190 and Ta152 models, for future compatible packs. Version 10.3 is available for download. Following on from numerous bug report, this should have the majority of issues resolved. It also includes some flight models for upcoming mods. As far as the SAS team here is concerned, this should now be considered stable! For 4.11.1m users, you will notice that jets tend to overheat quickly. This is a side-effect of the new engine management code in this game version. We will look into this for future buttons versions. For now, fly carefully! For those using JetWar, you may notice some aircraft have missing sounds. 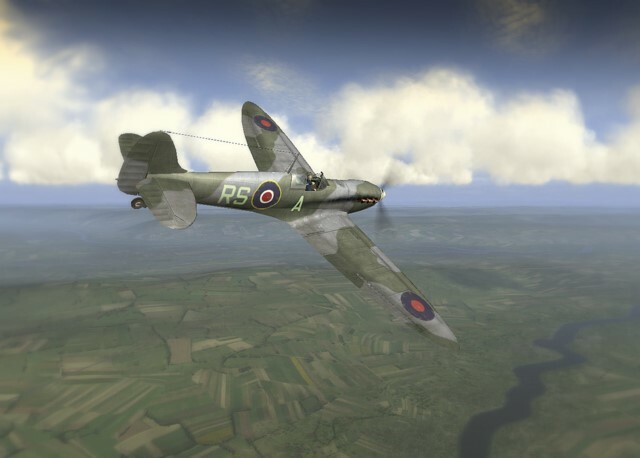 We apologize about that, it is due to the new flight model for v1.3 which have been added. We suggest you use buttons v10 for now.